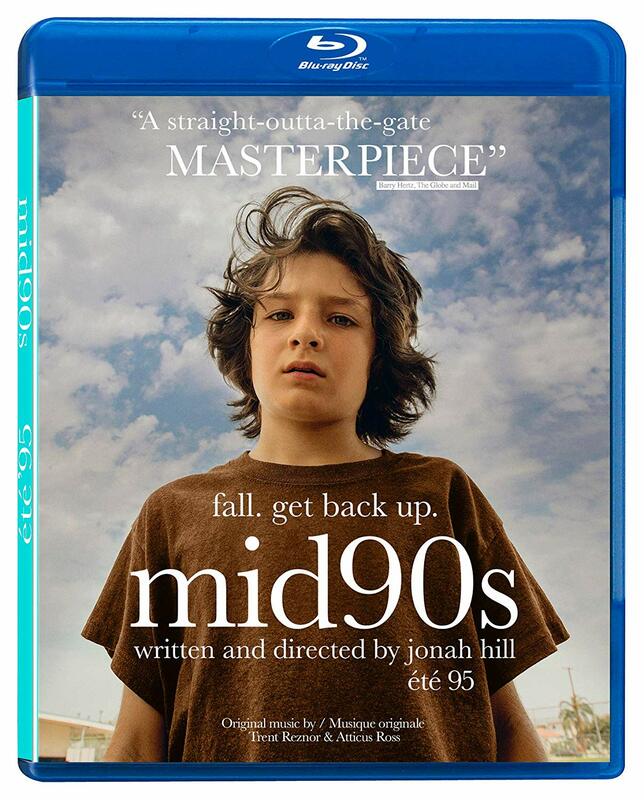 The directorial debut of actor Jonah Hill, Mid90s is coming to Blu-ray this week, and it’s one of those small gems that absolutely deserves to find more of an audience at home. Centred around a group of skater kids in the 1990s, this is a funny and touching coming of age film that is sensitively directed by Hill and features excellent performances from its young cast, led by rising star Sunny Suljic. The film sadly ended up flying under the radar when it was released in theatres last fall, following its world premiere at TIFF, so here’s hoping that more people will discover it now. It’s a wonderful piece of work, and for more on the film itself, you can read my full review right here. The Blu-ray also includes a commentary track with Jonah Hill and director of photography Christopher Blauvelt, as well as a brief selection of deleted scenes and a short collection of promotional cast & crew interviews. While some more bonus features would have been welcome, and perhaps a boutique distributor will pick it up for a special edition in the future, the film itself is strong enough to stand on its own, and is well worth checking out. Mid90s is a VVS Films release. It’s 85 minutes and rated 14A.